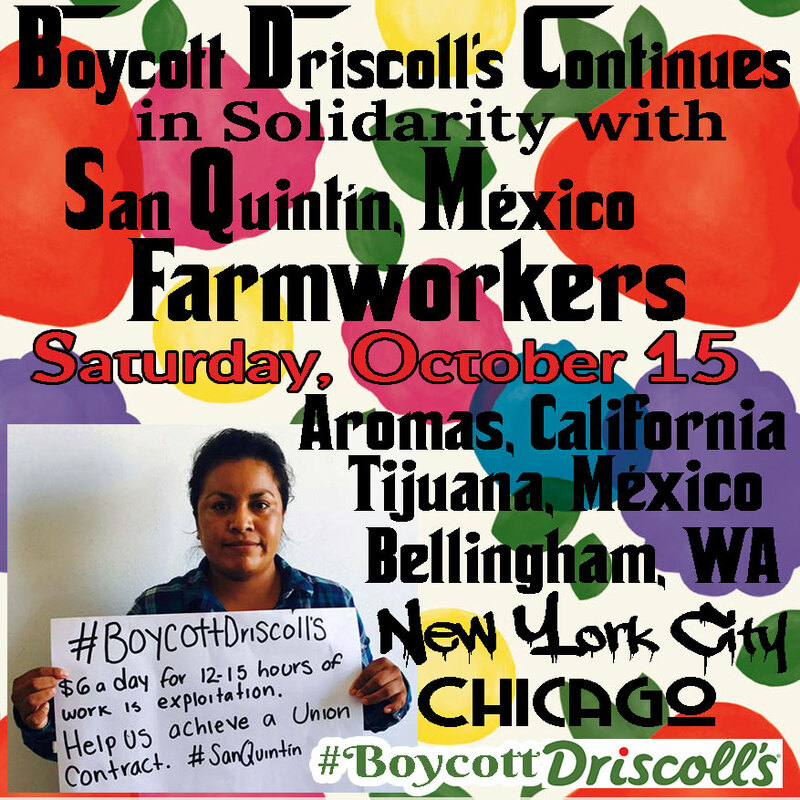 Join us outside of Driscoll’s Berries’ Distribution Center and Berry Store to send a message to the public that the #BoycottDriscollsContinues and a message to Driscoll’s that we will not stop until the demands of the farmworkers are met in the form of a collective union contract. Bring signs, noisemakers, and energy! Spread the word! I continue to boycott Driscolls where I live here in Colorado. On October 15th at 12:00 noon Colorado time, I and my family and friends will keep all of the farmworkers and demonstrators in our hearts and thoughts in solidarity.